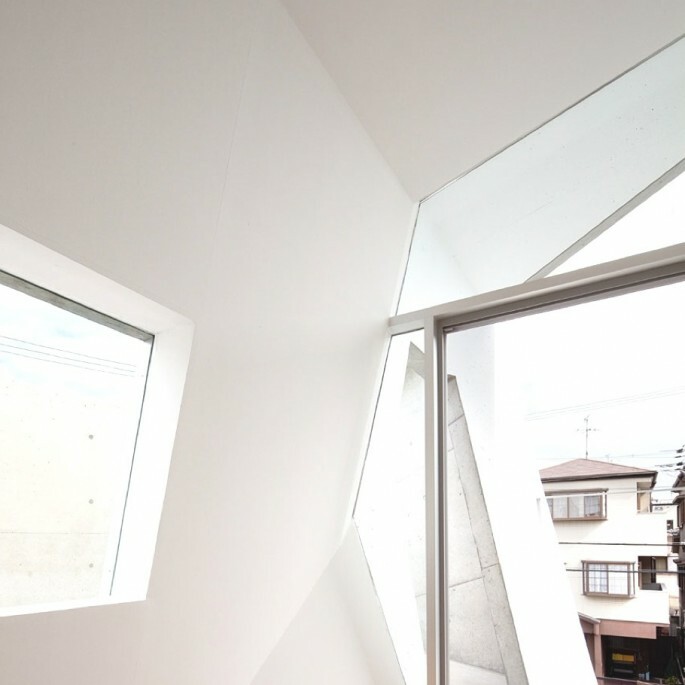 Kyoto-based design studio Alphaville have completed the Folded House project. 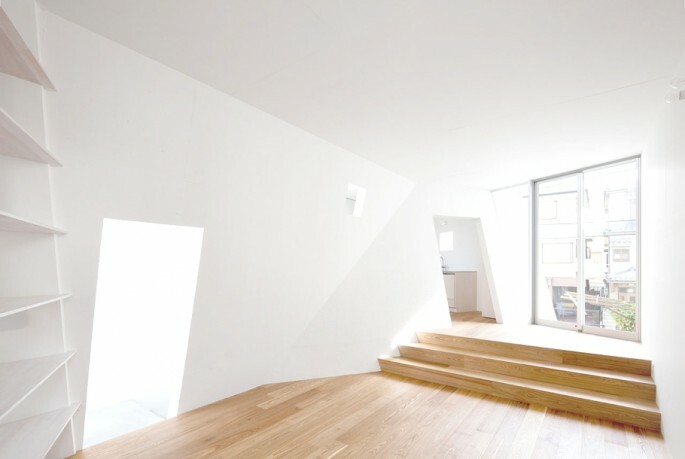 The three-storey, contemporary property can be found in Osaka, Japan. 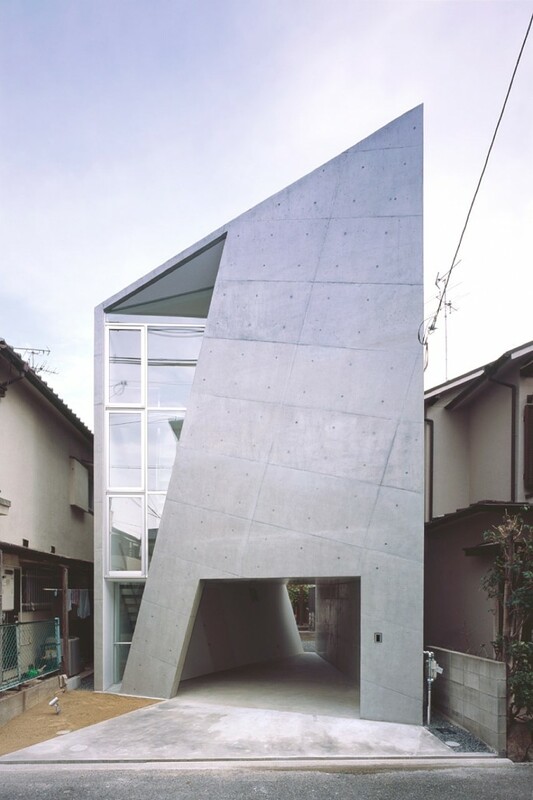 According to the architects: This contemporary Japanese home belongs to a couple and their pet cats. 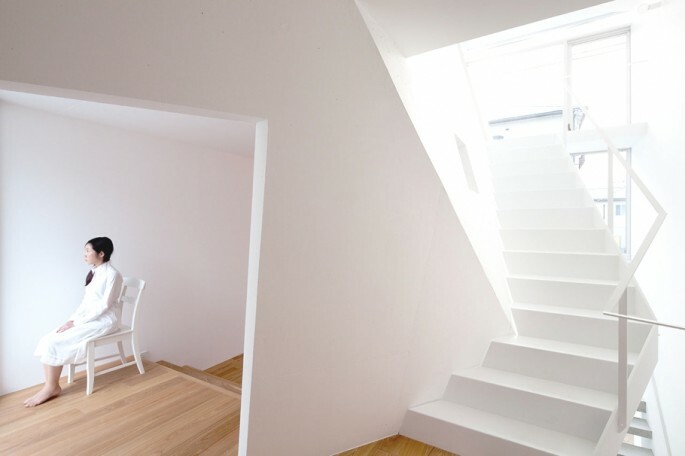 The typical method for designing a house would assign rectangular rooms with specific functions and lay out them. 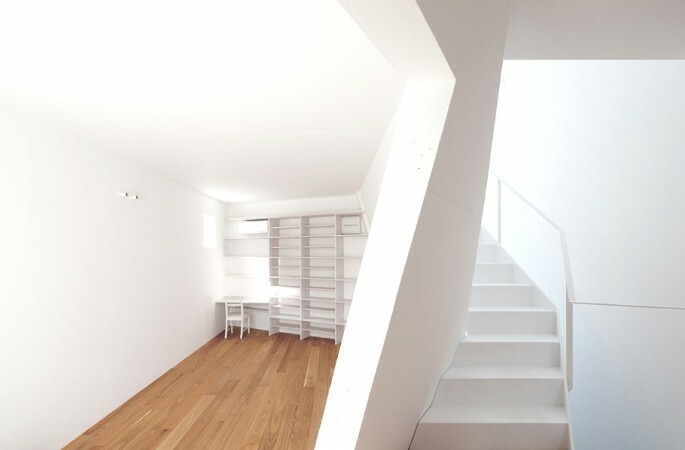 Such a design produces a series of rooms of similar size and causes monotonous spatial experiences. 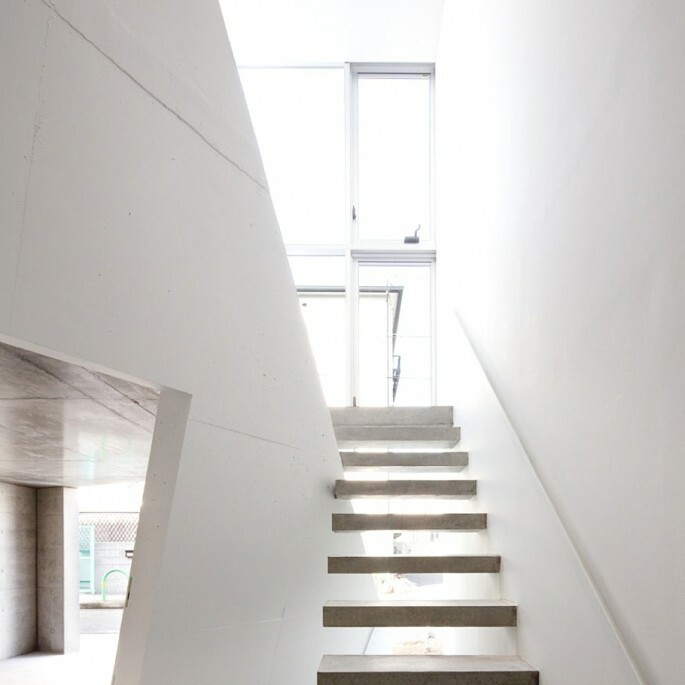 Our approach was to avoid the conventional design practice and to create a structurally rational but spatially heterogeneous contemporary Japanese house. “On the assumption that there is a human being within the optimal spatial coordinates resulted from the site and living requirements, we used Voronoi line segments that divide equally the shortest distance to create spaces.The actual trial and error involved the full use of 3D-CAD. 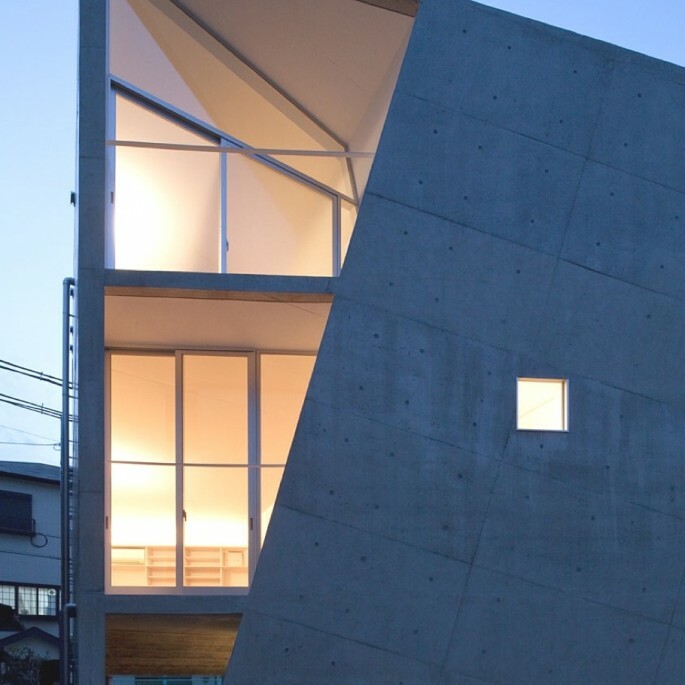 First, the building’s shape was squashed in a parallelogram in order to keep an adequate distance from the site’s borders. 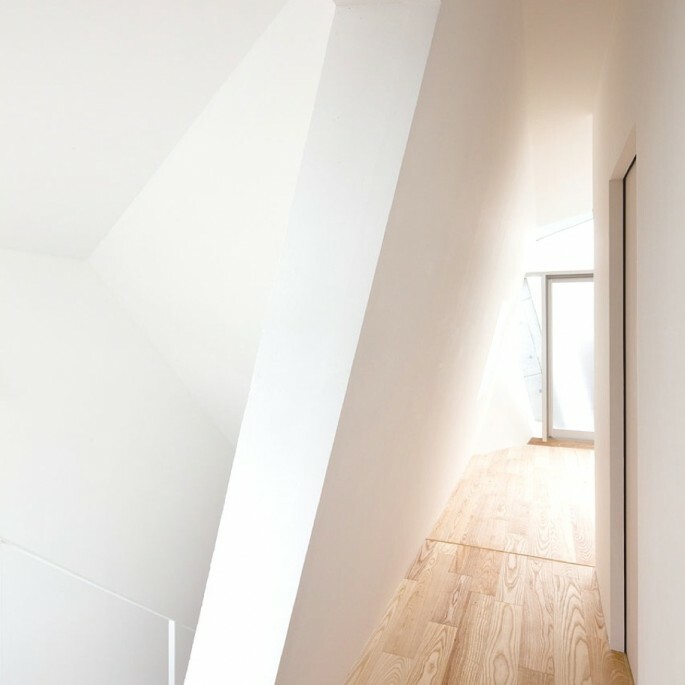 Second, the center wall was folded to divide the space into two, diagonal to the site on the first floor and parallel to the site on the third floor. Next, the floors were skipped, and. The final step was to slope the roof. 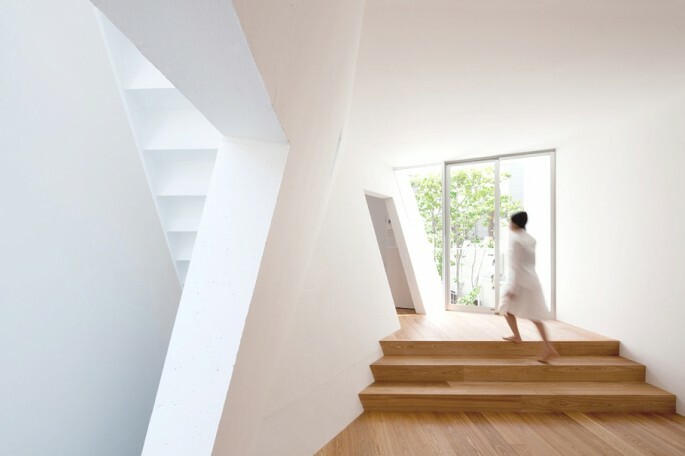 In this way, various spaces came to be created so that continuous changes can be experienced as one moves along or through the bent wall (the way of folding diagram). 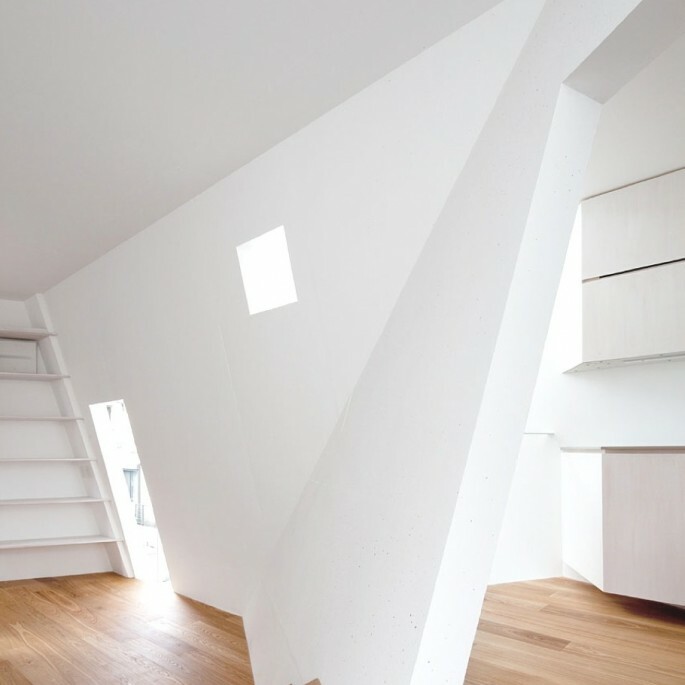 “The slits on east elevation that run from first to third floor introduces direct light into the space reflecting the folded wall beautifully through the highly rational structure with minimum wall girders. 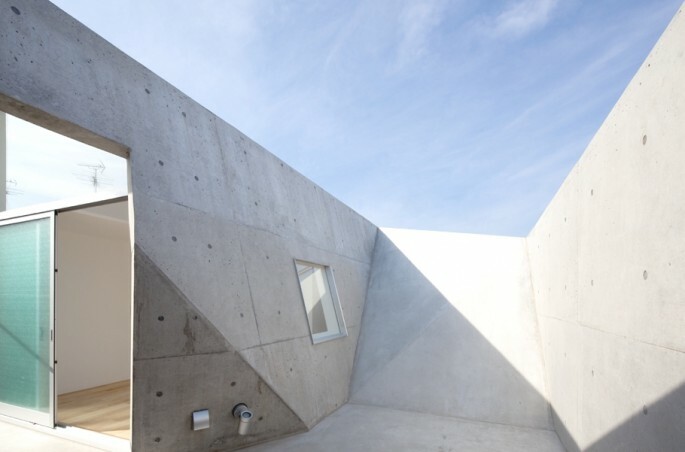 At the same time, the slit on west elevation bring indirect light through the openings from behind the folded wall. 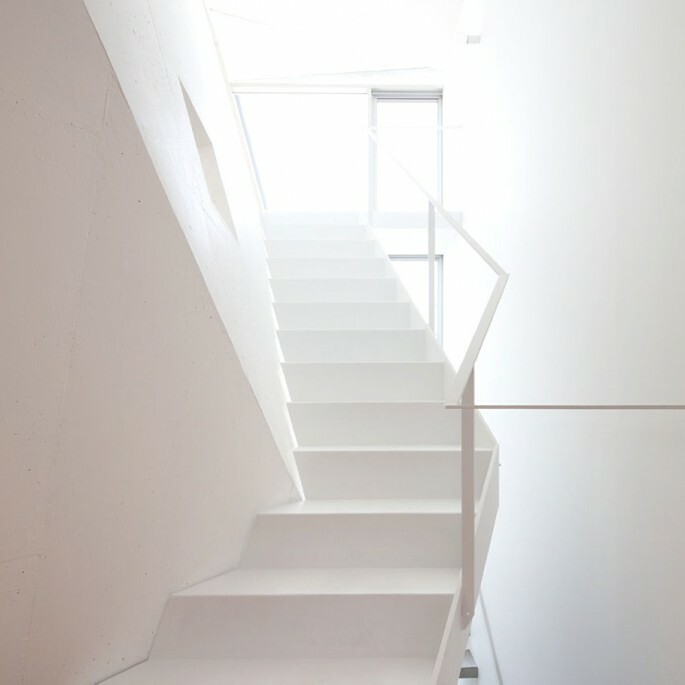 Therefore while the space along the folded wall is an interior space filled with direct light, it also has an outdoor- space-like feeling facing folded walls with shining openings reflected by indirect light (light distribution diagram).